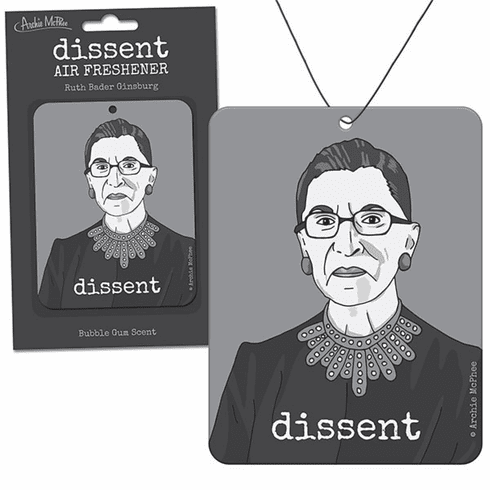 Supreme Court Justice Ruth Bader Ginsburg has a special collar she wears when she dissents from a majority opinion. This 4_" (10.8 cm) tall heavy cardstock air freshener will "de-scent" your car with a delicious bubblegum smell. String for hanging included. Illustrated cardboard sleeve.